This is the new CD by my good friend Audrey Johnson, and Murray Benjamin. 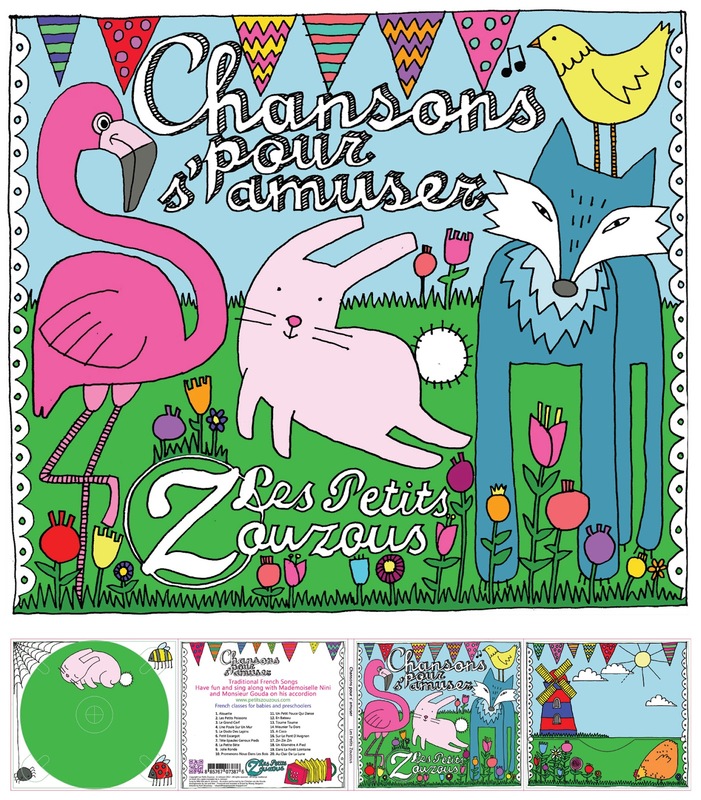 It's just lovely, full of jolly french songs for children [I have to admit that I find myself singing them when no children are around as well!] I designed the cover - I tried to convey the happy, lively music with the colourful illustrations. They show many of the characters from the songs and the Zouzous mascot, Fifi the flamingo. Audrey runs Les Petits Zouzous, french classes for pre-schoolers. She is a brilliant teacher and makes the classes so much fun for the children [who adore her] and her enthusiasm means that an adult, like me, who is pretty bad at french, is soon singing along quite unselfconsciously! Have a look at her website to find out about classes and why not buy a CD while you're there. Welcome to Ruby's! Follow me in my little celebration of printing, drawing and making, and everything in between!